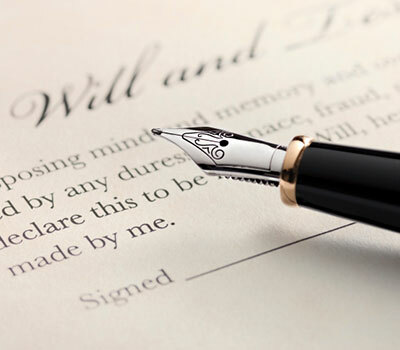 Our Estate Planning and Probate practice represents and advises clients who enter into lifetime and post mortem documents and transactions to effectuate the transfer of assets to minimize potential liability as well as to provide planned distributions of income and principal. The Firm also provides in its probate practice, services not only directed to probate of wills, but also coordination, interpretation and enforcement of non-probate dispositions including those passing through trusts, insurance contracts, employment related pension and profit sharing plans, and other contractual disposition documents. Planning and executing documents to effectuate client's disposition of assets including distributions of principal and interest through wills, trust instruments, gifting to family members and other contractual documents. Planning, preparation and execution of documents as well as coordinating related transactions to provide for and implement estate tax freezing of values including GRATs, QPRTs, grantor and defective grantor trusts. Planning, preparation and implementation of documents to provide for planned asset protection and liability/risk prevention techniques. Probate of testamentary documents and implementation of non-testamentary documents to include wills, trusts, contractual beneficiary designations, power of attorney, Medical Power of Attorneys, and Directive to Physicians. Review and implementation of required adversary proceedings, arbitration and mediation techniques in connection with probate administration to include will contests, contract disputes concerning estate assets, and beneficiary and heir determination. Representation of estates in connection with preparation and filing of federal and estate tax returns. Organization of family limited partnerships including preparation of agreements and related transfer documents and trusts. Succession planning for closely-held businesses. Representation of beneficiaries to an estate in connection with the transition, ownership and operation of a family-owned business.